Mrs Jane Knowles is the Foundation Year’s Tutor, and is responsible for inspiring and instructing some of the very youngest musicians at the Ulster College of Music. Having qualified and taught Music, Art, and PE in Wales and England, she returned to her roots, becoming Head of Music in schools in Fermanagh and Dublin. Following this, she spent a decade working as Music Specialist in CAMHS (Special Needs), Belfast. This provided her with valuable insight into the importance of creative arts to children of all ages and abilities. Jane’s interests in Art, Music Technology, and Primary Education are reflected in Musical Fun Foundation Courses for Children. 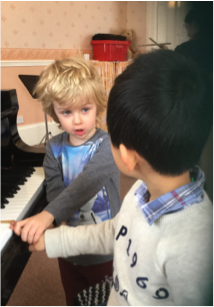 In Musical Games, Key Stage 1, children gain experience playing musical instruments, and enjoying music making through creative activities. 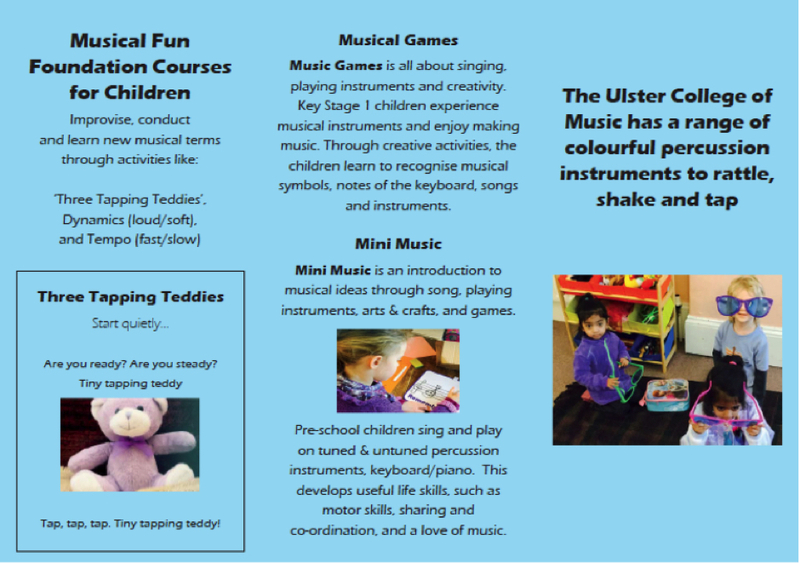 Mini Music is an introduction to musical ideas through song, playing instruments, arts & crafts and games. Pre-School children sing and play on tuned and untuned percussion instruments. 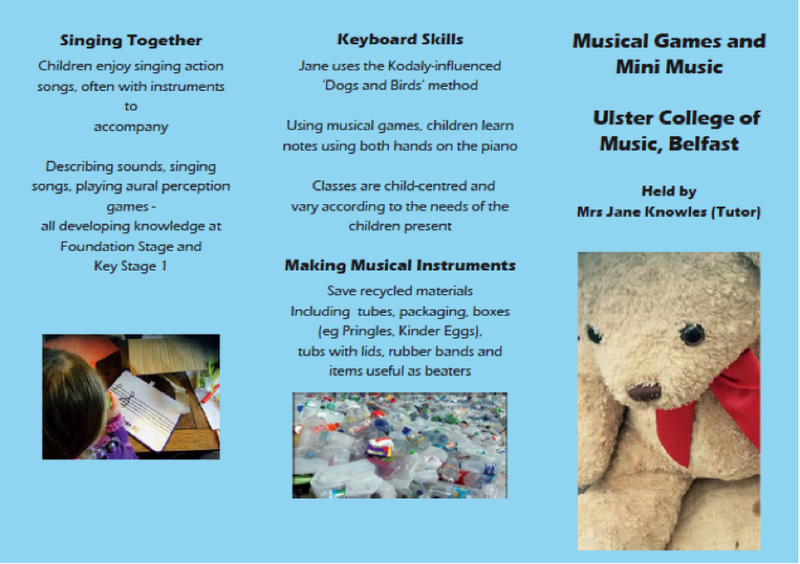 In addition, Jane uses the Kodaly-influenced ‘Dogs and Birds’ technique, introducing the concept to music notes, and developing the co-ordination of fingers and hands on the piano. The children not only hone their motor skills, but develop life skills such as sharing and a love of music.